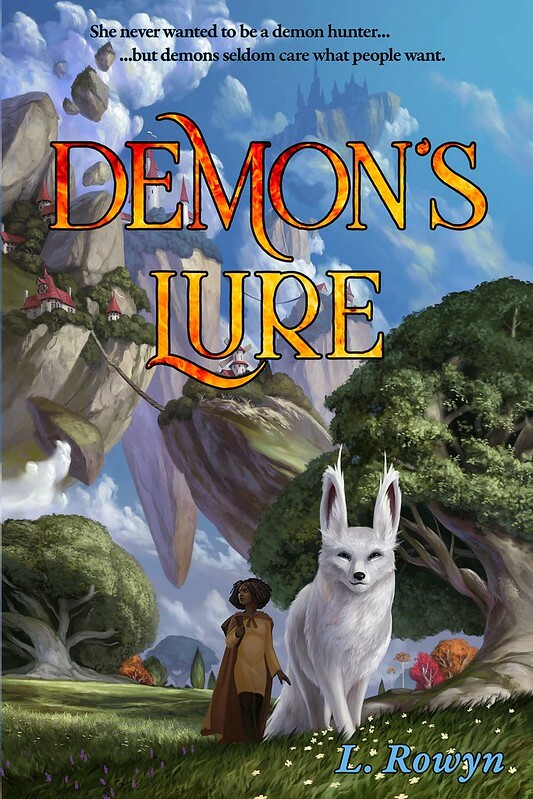 Demon's Lure is not quite ready for release, but it is in epub form now! I am looking for people interested in receiving a free early copy in return for reviewing it on Amazon and/or Goodreads and/or their own blog/site/review platform. Leave me a message with your email address if you're interested! Comments are screened, so no one else will see it. You can also send email to my gmail account LadyRowyn, if you'd rather. She doesn't want to hunt demons, but when a hunter team arrives at her town to ask for her help, she agrees. It should be easy: they just need her as bait for a pain demon that is too fast for them to capture otherwise. And a typical pain demon is no match for an experienced team of demon hunters. NEW BOOK! The Sun Etherium! 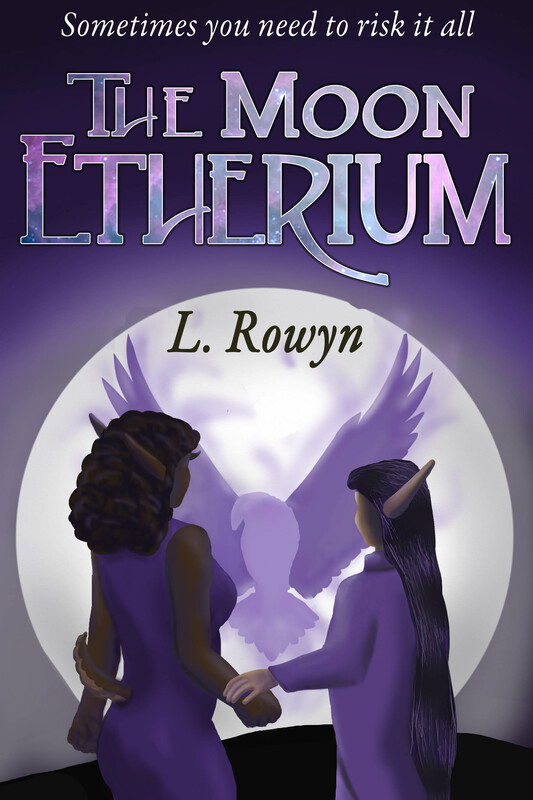 A romance of genderfluid shapeshifters, set in a post-scarcity world of magic and intrigue. Jino's not the only one trying to escape his troubles: Kireki, once prince-consort, lost his position along with the abusive wife Jino deposed. 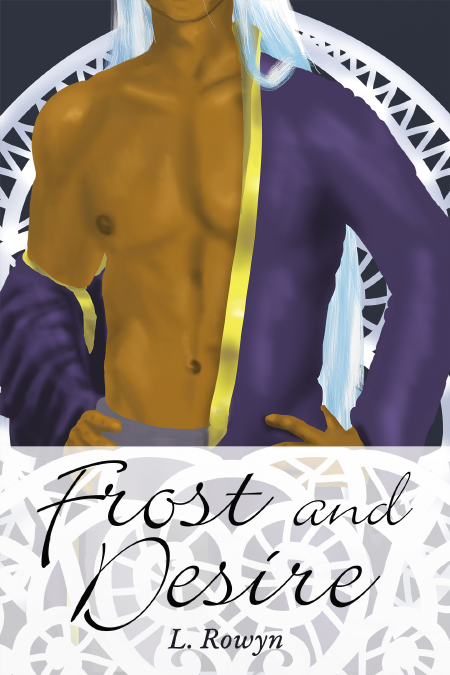 Can the relationship spawned by two masked fey survive the revelation of their true selves? And will the Founder's Festival be the first of Jino's successes as ruler of the Sun Etherium... or the towering failure that undermines his throne? Note: this book follows after the events of The Moon Etherium, but both works stand alone as complete novels and can be read independently of each other. The Sun Etherium is near and dear to my heart for a variety of reasons. I love writing about a post-scarcity society that is casually accepting of so many things my own society struggles with. It was super-fun to write genderfluid characters who can shapeshift to make their bodies match their idea of themselves at any given time. Although Jino isn't much like me as a person, their feelings about gender match my own more closely than any other character I've written about. This book is about nonviolent conflicts, and characters who don't have the option of using force to resolve their problems. While there's some use of force in flashbacks, the present day problems are caused and resolved through intellect or by social means. In my own life, violence has never been the answer and yet I still have plenty of thorny problems. So I enjoyed portraying different kinds of issues. 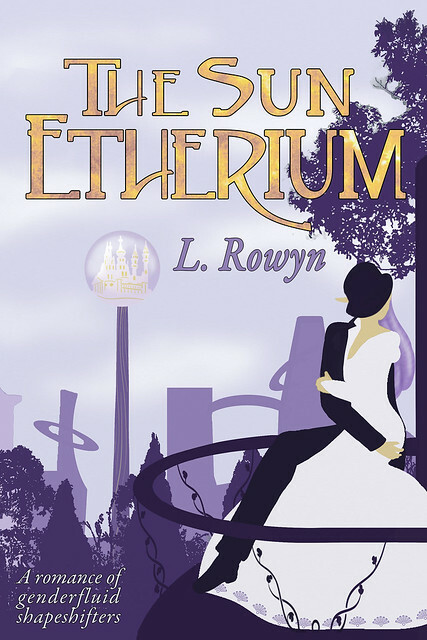 In honor of The Sun Etherium's launch, I've put both it and The Moon Etherium on sale at 40% off -- just $2.99! -- through December 27. After that, the two books will sell for their regular price of $4.99. M.C.A Hogarth also launched a new book this month, From Ruins, the final installment of her Princes' Game series. The series is a magnificent space opera, starting with the intimate details of the relationships between a few key players, and then showing the sweeping consequences of those early changes. If you like binge-reading a whole series at once, here's your chance! 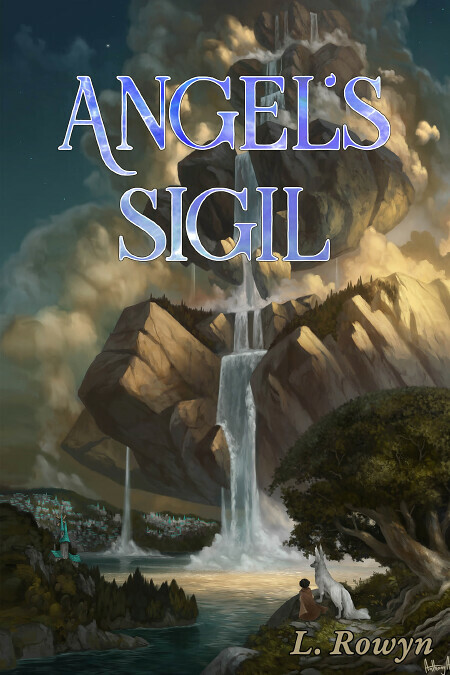 The first book, Even the Wingless, is still on sale for 99 cents as of this writing, so grab it now! He's had his whole life to save his soul from damnation ... and now he's out of time. The fate of Sir Damon Kildare’s soul rests on finding the silver scales of a living dragon, a quest the woman who damned him wants him to fail. Kildare expects to fail, too: the last dragon was slain eighteen years ago by humans intent on genocide. And the scales are only one part of the infernal challenge: there are two more he hasn't even identified, much less obtained. Will God allow demons to drag a good man into the Abyss? And will Zenobia and their friends find the answer before it's too late? Available now from an e-book-store near your mouse cursor! 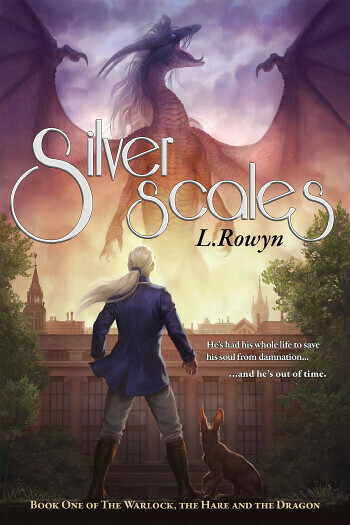 I started writing Silver Scales on February 17, 2003. At the time, I'd been working on a Very Serious epic fantasy for the last eight months. The Very Serious epic fantasy was a kind of book I'd never read, which I'd initially taken for originality. But by this time I'd realized it was less "this kind of book doesn't exist" and more "this is not the kind of book I actually like to read so I never seek it out." Silver Scales would be different. In it, I wrote exactly the kind of book I wanted to read. It's shamelessly inspired by Diana Wynne Jones's lighthearted, cheerful fantasies. I put in my favorite tropes: magic -- of course! -- used to make everyday life better and easier. Talking animal companions! Religion, as both struggle and celebration. Romance! Intelligent fantasy races living alongside humans. Dragons! Men saving women in distress! Women saving men in distress! Because I am all about people saving one another, y'all. I wanted a story where people grappled with problems that mattered to them, but where those problems were not the totality of their lives, and certainly not their world. It's a book full throughout of both setbacks and triumphs. This book, out of all my unpublished works, has lingered in the minds of early readers. Alinsa typeset an early version of it for me in 2015, as a surprise gift and in token of her desire to see it in print. "Publish Silver Scales," Lut said to me, every day, for months after I released A Rational Arrangement. "If people like ARA, they will love Scales." There, Lut. I've published it. Further Arrangements: ON SALE NOW! Further Arrangements is now for sale! At URLs conveniently accessible to your browser! His Angel: Lord Justin Comfrey is not in the habit of molesting the help. But when his host assigns an angelic young man to attend to Comfrey's every need, that resolve is sorely tested. Inconceivable: When Wisteria has trouble conceiving a child with her husband, Nikola Striker, it only makes sense to them to ask their secret husband for help. But to Justin, the question is not so simple. A Regular Hero: Callie strikes sparks with the handsome warcat Anthser, but she's a competitive racer and he serves the Blessed Lord Nikola. She wants more from her life than to be the second most important person in his. Must one of them give up their life's dream to be the other's mate? In honor of the release, both A Rational Arrangement and Further Arrangements are on sale for $2.99! Buy them now! Sale ends February 15. I do not presently plan to serialize Further Arrangements, so if you'd like to read more in this setting after the serial of A Rational Arrangement is complete, here's your chance! Special thanks to alinsa, who lovingly typeset the book for me, and did the typography for the cover. Further Arrangements will also be available in print form in the next week or so. Cover price to be determined. It should be less than A Rational Arrangement, because Further Arrangements is much shorter than the first book. If you do not wish to buy, or cannot afford it, that's fine. If you like A Rational Arrangement, please spread the word! Recommendations to friends, retweets and reblogs of the story installments, reviews on Amazon or on your own blog, etc., are all much appreciated. Last Day of the Sale on "A Rational Arrangement" in E-book Form! In other book news, it is also available in print! You can buy it from Amazon or from Createspace. The print edition is $19.95. It is going to just stay $19.95, because the economics of print-on-demand make it impossible for me to offer a meaningful discount on that price, and $19.95 is plenty expensive enough.